Follow the troubleshooting steps provided below when you are having trouble powering on your AgeVisor Touch. 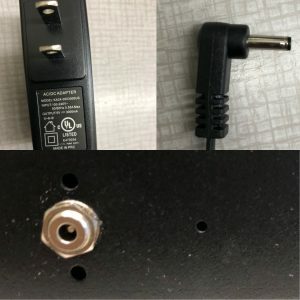 Note: Before beginning troubleshooting steps please determine if your AgeVisor Touch is using a 12V or 5V power supply by viewing the images below. 1. Make sure the power supply is completely inserted into the side of the unit. 2. Try plugging the AgeVisor Touch into a different wall outlet. 3. Check to see if any damage has happened to the power cord such as any small tears or fraying. 4. Unplug the power cord from the AgeVisor Touch. After 15 seconds re-insert the power cord and hold the power button down for 30 seconds. If the AgeVisor Touch does not power up immediately, let go of the power button and hold it down for an additional 30 seconds. 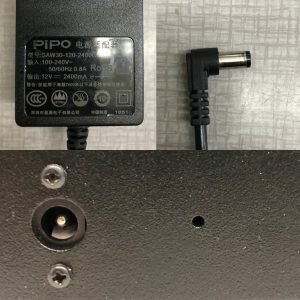 If after trying these troubleshooting steps you are still unable to power up your AgeVisor Touch. Please create a support ticket providing your Name, Company Name, Phone Number, and Email Address here. Customer support will contact you with further instructions as soon as possible.